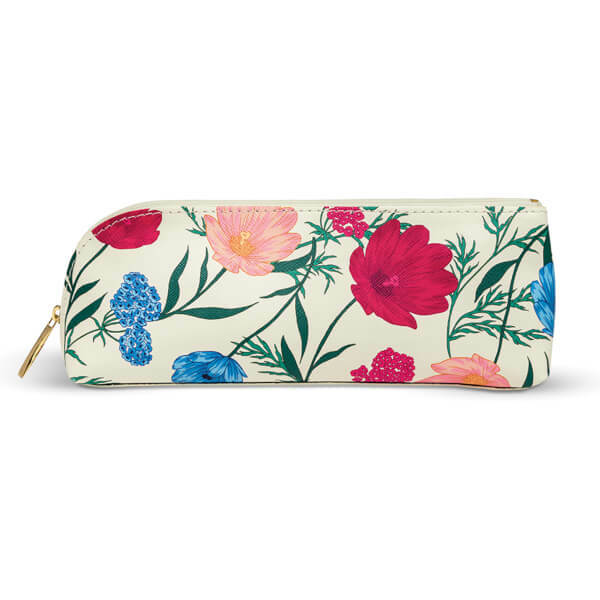 Enhance your desk space with the stunning Blossom Pencil Case from Kate Spade. The cream leatherette case is decorated with a colourful floral print from the ‘Blossom’ range and is completed with a gold-toned zip closure. 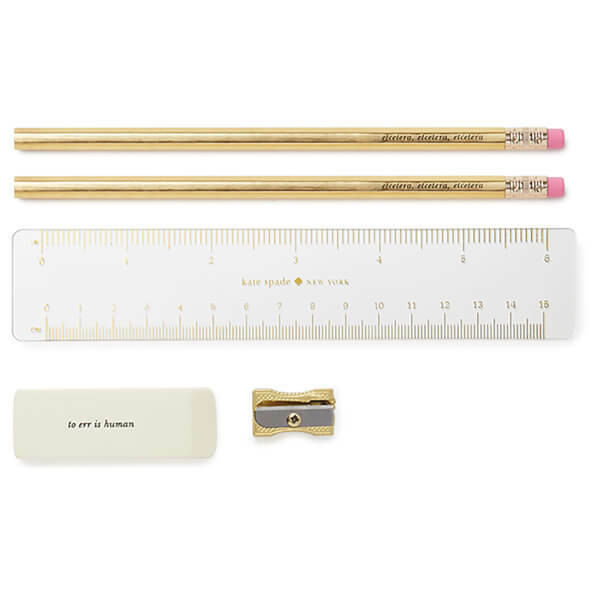 Included in the case are two cream and black striped pencils, an acetate branded ruler, a gold-toned sharpener and an eraser printed with ‘to err is human’, perfect for when the doodling bug bites.